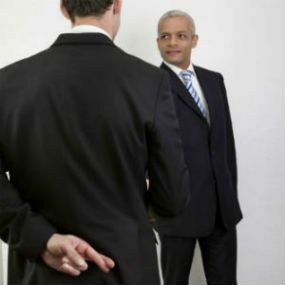 As the top private investigator Houston TX, AMS Investigations, specializes in cheater investigations. Catching cheating husbands, cheating wives, & cheating partners. As well as infidelity, adultery, and divorce & child custody investigations. Because 85% of adults that suspect their spouse is cheating, turn out to be correct. AMS gets the answers, & delivers the proof! So, call the most experienced, & trusted, BBB A+ Rated Houston Private Investigator today, (281) 812-9799. Do you have that gut feeling that your loved one is hiding an affair? Is your loved one working longer hours? Experienced a recent decrease, or increase, in sexual intimacy? Does your partner often delay in returning phone calls? Do they leave the room, or even the house, to talk on the phone? Does your partner become defensive when you ask questions about your relationship? Do they become defensive if you ask them who they were with or what they were doing? Are they critical of you, or do they often find fault with you? Have they become secretive about where they are going? Do they always seem displeased with you? Are they over protective of their cell phone records? Have they told you that they “want space”? Do they not want to have meaningful conversations? Does it seem like they do not want to be around you? Do they become upset when you ask about money? AMS Investigations services the entire greater Houston TX area, & we are ready to help! Because our Houston private investigators are all licensed by the state of Texas. And, because we investigate cheating husbands, cheating wives, cheating lovers, & cheating partners. Our areas of expertise also include alimony reduction, child neglect, abuse, and drug & alcohol use around children. AMS Investigations is a BBB A+ Rated, & Texas Association of Licensed Investigators (TALI), private investigations firm. And, we are licensed by the Texas Department of Public Safety Private Security Bureau. AMS’s private investigator Houston TX service is managed by Mike Schenck. Mike is a retired military officer and Special Agent, Air Force Office of Special Investigations. Most noteworthy, during his military career, Mike conducted and managed criminal, fraud, and counterintelligence. As well as counterespionage investigations. We conduct surveillance investigations & GPS vehicle tracking. Video/photography & pre-marital investigations are specialties of ours. License plate searches & cell phone number research is also an area of expertise. We do ownership & address, national database, criminal record, & background checks. So, call AMS Investigation at (281) 812-9799 to talk to the best Houston private investigator today! Does your loved one protect their cell phone, or not answer it, when you are around? Also, does your partner not answer your calls, or not call you back promptly? These are just two of the questions we ask, to determine if an infidelity investigation is warranted. You can see our full list of private investigator Houston questions at the top of this page. Because this list was developed over AMS’s many years of conducting infidelity investigations. Furthermore, we recommend reviewing the entire list. Then, call us to set up a 100% confidential private investigator consultation. Consequently, we will schedule surveillance if it is deemed necessary. Our experience has shown, that more times than not, a spouse that suspects cheating, is right about their premonition. In fact, research has determined that 85% of women who suspect that their loved one is unfaithful, are correct. And, that two-thirds of all woman that were being cheated on, had no idea that their spouse was cheating. Because they did not recognize the clues. So again, use our private investigator Houston infidelity questions, to determine if you should take the next steps. Clients call AMS Investigations when they have decided that they must know if their loved one is being unfaithful. Because our private investigator Houston service can determine the truth, and provide you with the evidence. We provide professional, confidential, and discreet services. Therefore, the subject of the investigation will not know they are being investigated. With over 35 years investigative experience, there is not too much that we haven’t seen. First, and foremost, be honest with yourself & those helping you. The hardest part is making the first call. And on that first call, it is not easy to tell the investigator everything you know, or suspect. This is perfectly natural. Just remember, you already did the hard part (make the first call). And you did not do anything wrong. So, share as much as you are comfortable sharing, on your initial consultation call. Keep a log with dates, and times, of when the subject was unaccounted for. Include vehicle odometer readings or suspicious phone calls, and write those numbers down. In addition, document conversations that could be related to the case. Keep account of suspicious trips, and credit card charges. Most importantly, always keep your log secured in a location where they will not find it. Secure any evidence you collect, such as letters, notes, phone records, or prescriptions. For example, include documentation about never before discussed erectile dysfunction drugs. And, any credit card bills that are suspicious. First, everything discussed with the private investigator is 100% confidential. Because you are the client, & have full control over who knows what, & when. However, we do recommend that you do not suggest to the subject that you are considering hiring a private investigator. Unfortunately, such disclosure could negatively impact the outcome of the investigation. Also, do not “interrogate” the subject during the investigation. If anything, your goal should be for the subject to think that you are not suspicious. It is important to remember you are not the one forcing them to have an affair. Unfortunately, your loved one made that decision on their own free will. We will get the facts for you. In other words, let the private investigator Houston TX complete his, or her, investigation before you disclose anything. It’s important that you let us get the answers first. There will be a right time to confront your partner about infidelity, but that time is not during the investigation.